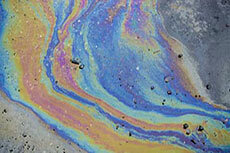 Natural gas liquids (NGLs) are stripped from natural gas at processing plants. In 2013, the US produced 2.61 million bpd of NGLs. By 2015, volumes had climbed to 3.26 million bpd, and the EIA expects average daily production to hit 3.55 million bpd this year. Prior to 2014, the US had about 1.1 million bpd processing capacity; that is expected to expand by 800 000 bpd, to 1.9 million bpd, by 2018. That leaves a lot of leftover NGLs. Storage capacity has increased dramatically over the last five years to handle peak seasonal highs; in September 2011, peak storage for propane reached 65 million bbls. By September 2015, that number had climbed to slightly under 100 million bbls. Exports and terminal capacities have also increased dramatically. 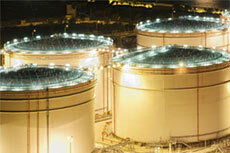 In 2011, NGL exports stood at 200 000 bpd, the limit of terminal capacity. By 2015, exports had exceeded 700 000 bpd, with terminal capacity expanding to 800 000 bpd. Several major projects contributed to the terminal capacity expansion. 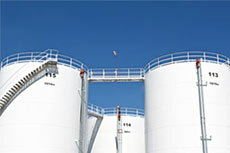 Targa added 120 000 bpd to its terminal in Galena Park, Texas. Sunoco commissioned a 200 000 bpd facility in Nederland, Texas. Occidental added 75 000 bpd to its Corpus Christi, Texas, terminal, and Enterprise expanded its Houston Ship Channel plant by 227 000 bpd. Phillips 66 expects its 145 000 bpd Freeport, Texas, terminal to come onstream in mid-2016. Stakeholders in the US were pleased that the 40 year old ban on crude exports was annulled by Congress in late December. Its elimination bodes well for extensive new tidewater storage and export facilities. In early 2016, Enterprise announced that it had already contracted for the export of 600 000 bbls of medium light crude from its Enterprise Hydrocarbon Terminal (EHT) in the Houston Ship Channel. The NA glut of gas is eventually going to ease as production dips and consumption rises. Traditionally, US electric utilities have used coal to generate power. But low oil prices and environmental restrictions have galvanised a switch to gas-fired turbines, and gas to power (GTP) has risen from 20% in 2010 to 31% in mid-2015 (with coal dropping to 30%). As the oilsands grow, so will gas usage. Several billion cubic feet per day will be exported as LNG plants come onstream, and plans are afoot to ship up to 5 billion ft3/d from Texas to energy-hungry Mexico. In addition, petrochemical firms are investing over US$100 billion to build greenfield plants in order to use cheap gas as feedstock. Any predictions regarding the future price of oil and gas are fraught with uncertainty. Thanks to the current crude price doldrums, the EIA is pointing to a decrease in US shale oil production throughout 2016, which would significantly ease upward pressure on storage in the near term. The EIA also points out that US proven reserves exceeded 40 billion bbls of oil and 390 trillion ft3 of gas in 2015. Over the long term, it is safe to forecast that there will be ongoing demand for new terminals and storage capacity in North America. Several billions of dollars will be spent on meeting the storage needs of new producing regions, new exporting terminals, and improving environmental safety. Gordon Cope continues his examination of the North American storage industry, focusing on gas and refined liquids. Gordon Cope, Contributing Editor, explains why record high oil and gas production, combined with low prices, spells big opportunities for storage. 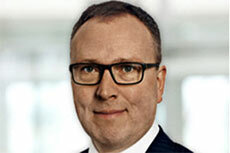 Report by Ole Hansen, Head of Commodity Strategy at Saxo Bank.